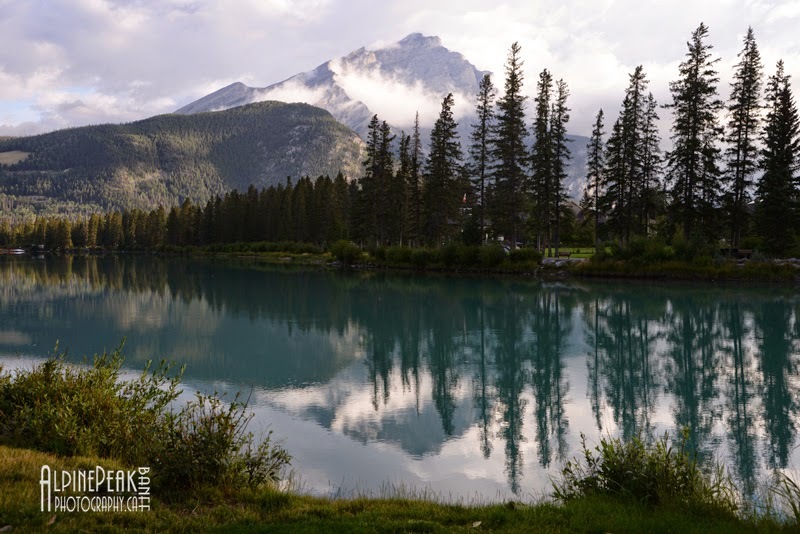 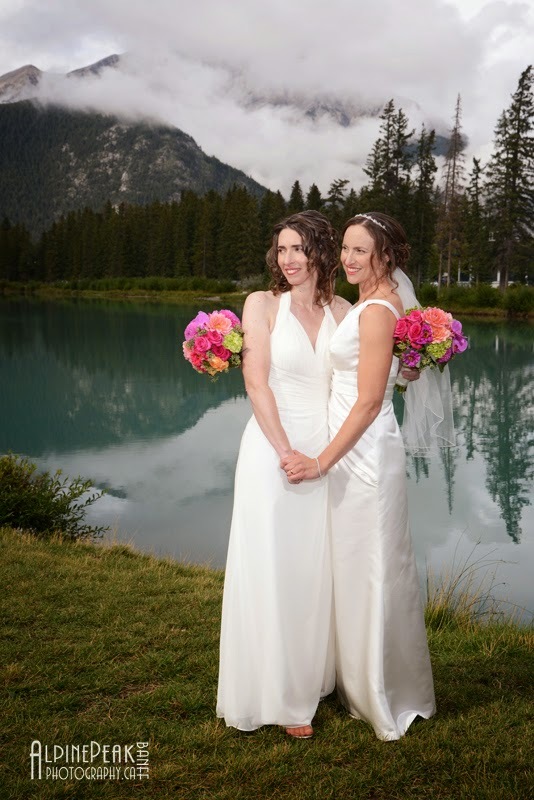 It was a beautiful day in the Canadian Rocky Mountains! 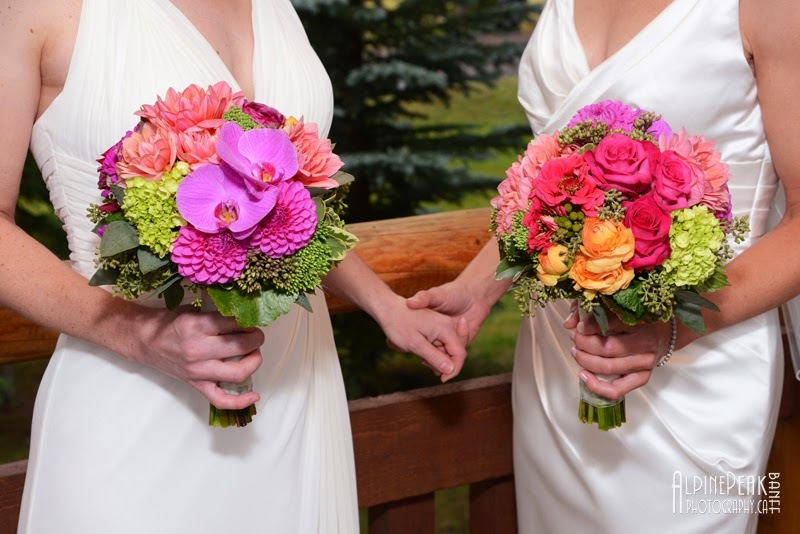 Love the vibrant colors chosen for the bridal bouquets, just gorgeous! 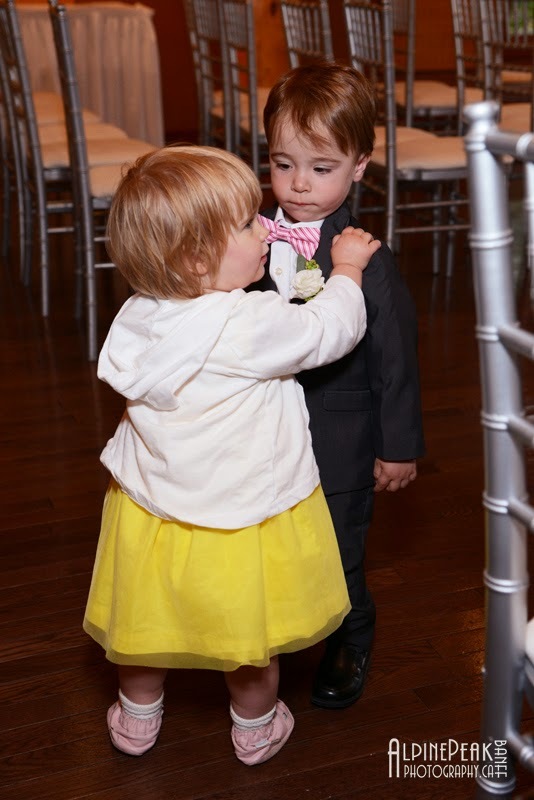 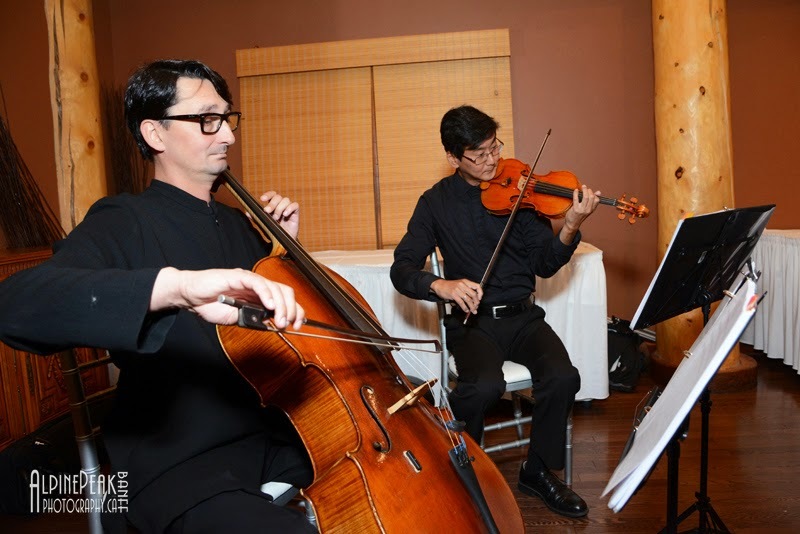 Live music always adds a very beautiful and romantic ambiance to the ceremony. 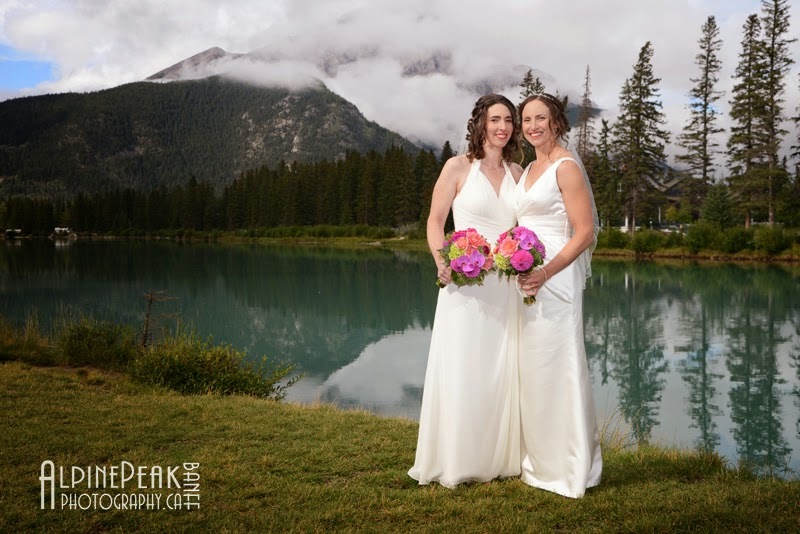 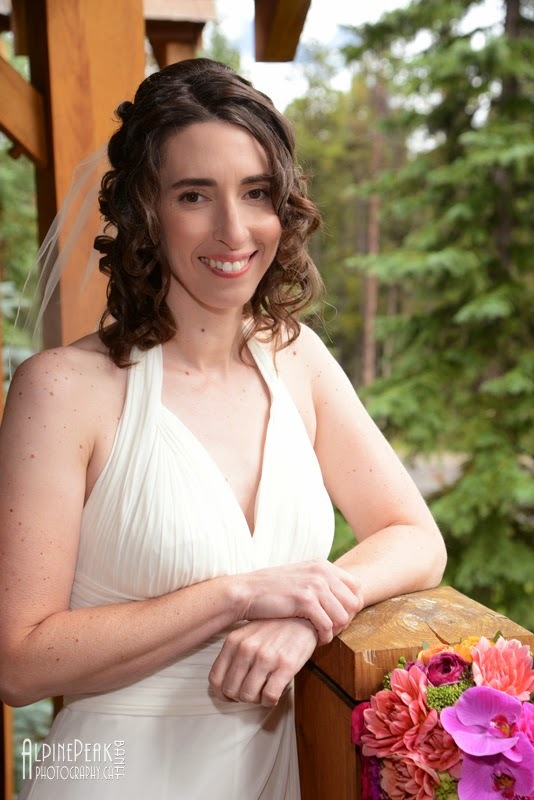 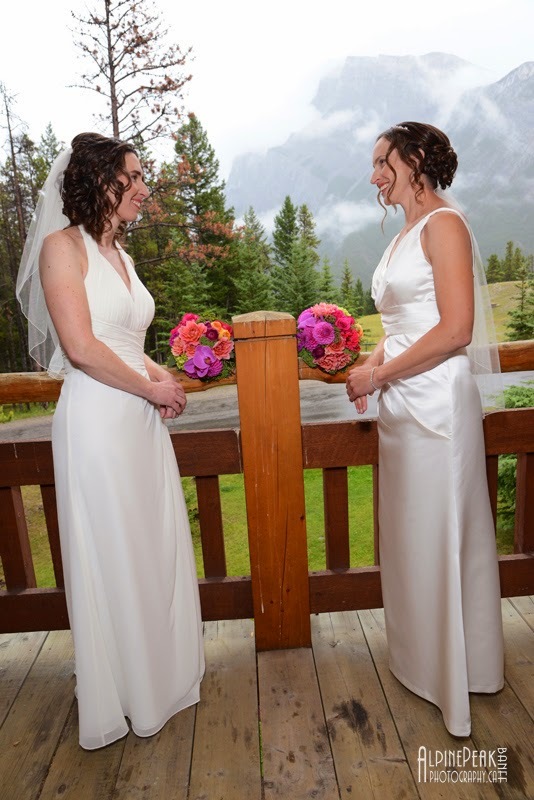 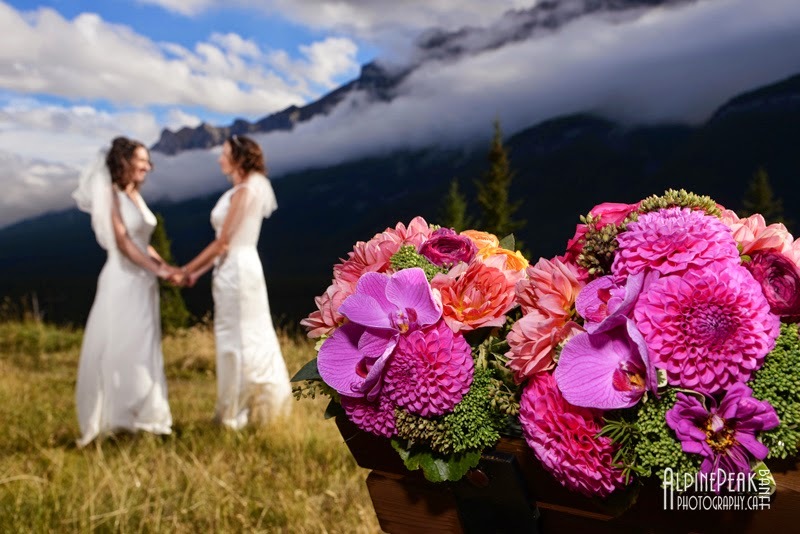 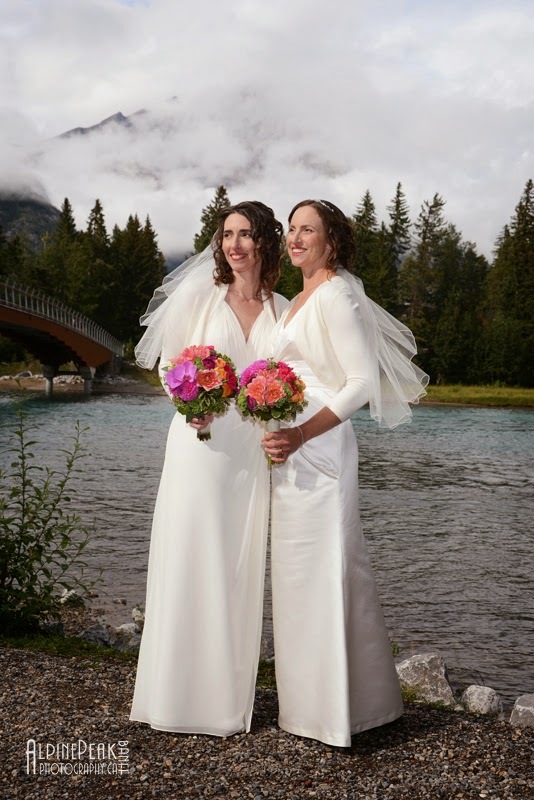 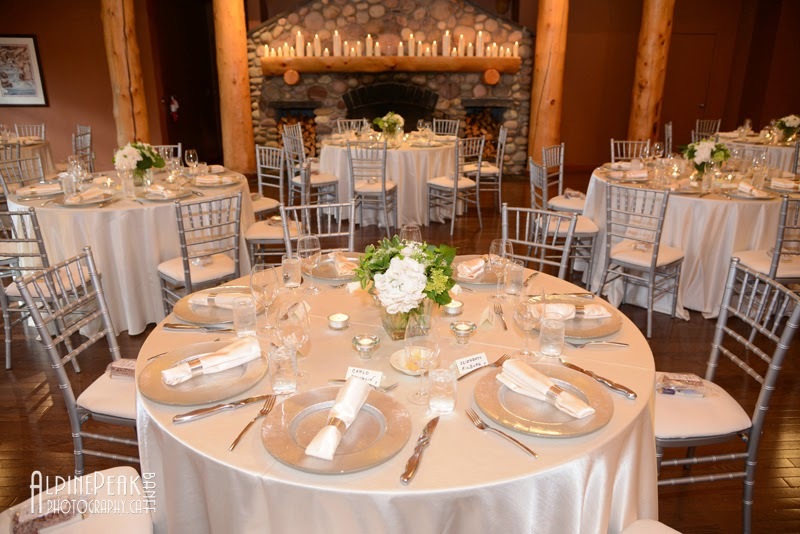 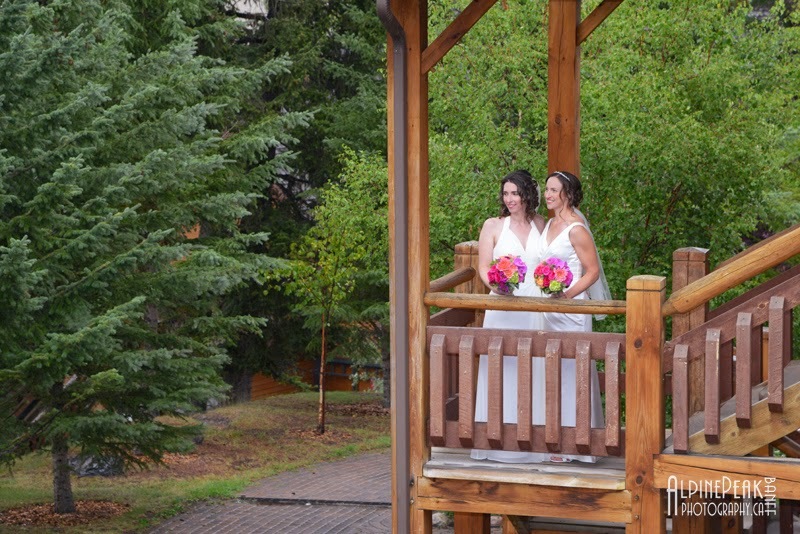 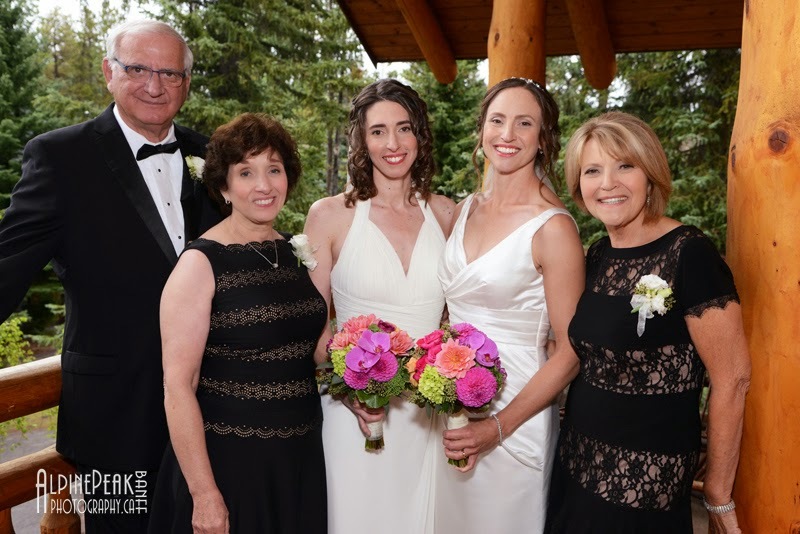 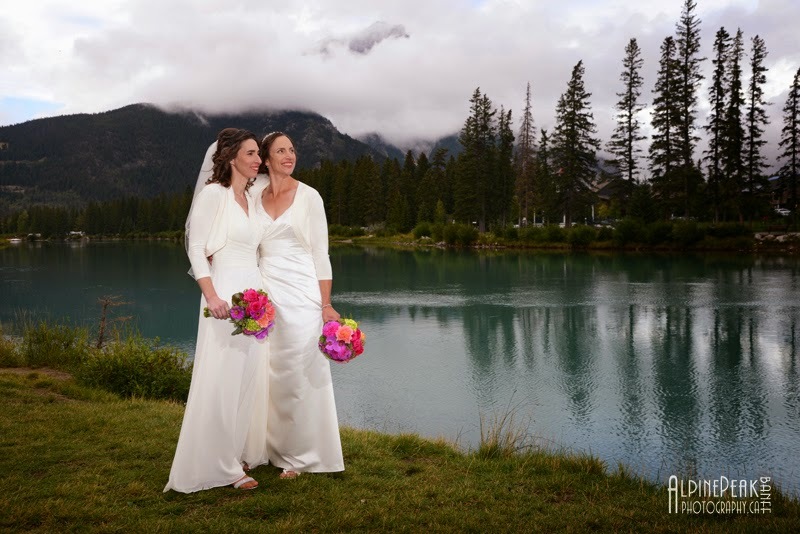 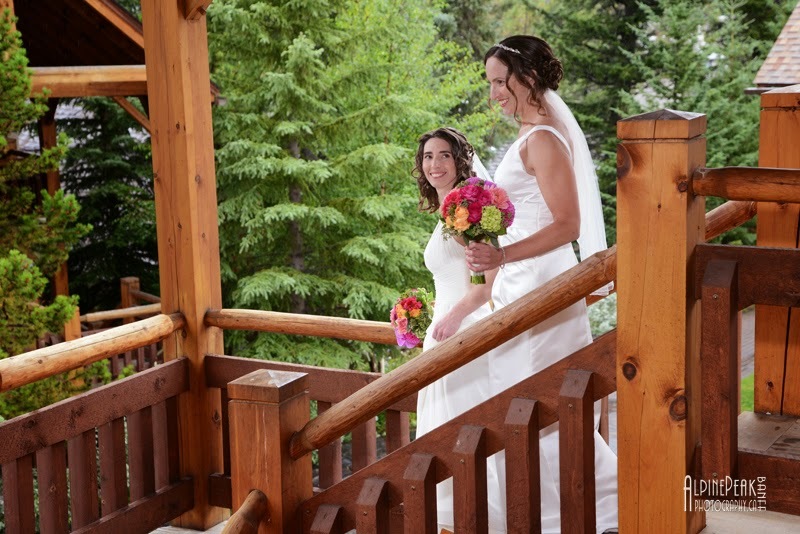 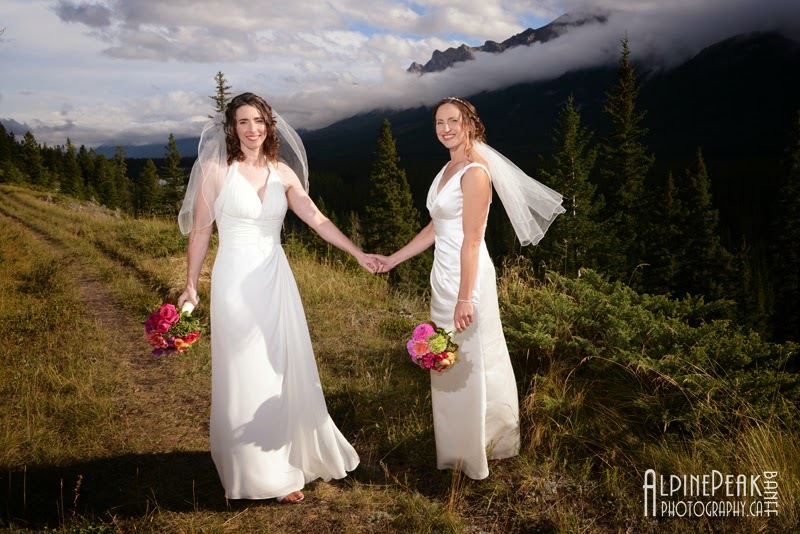 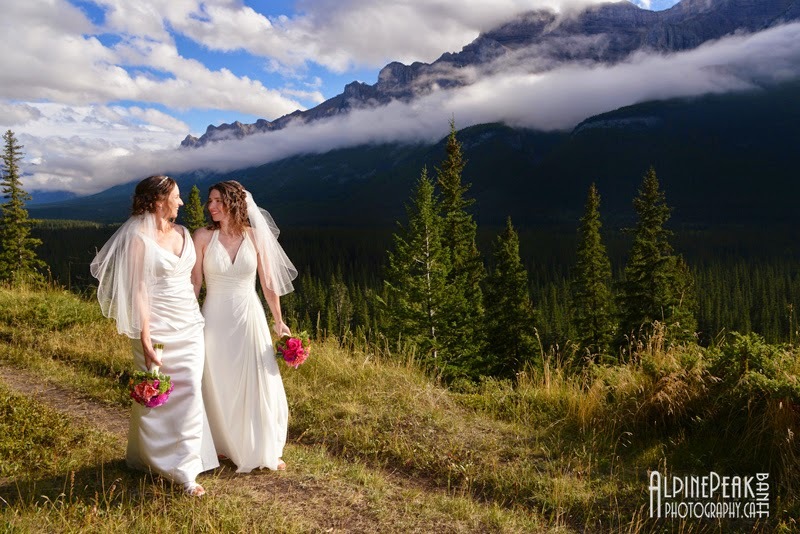 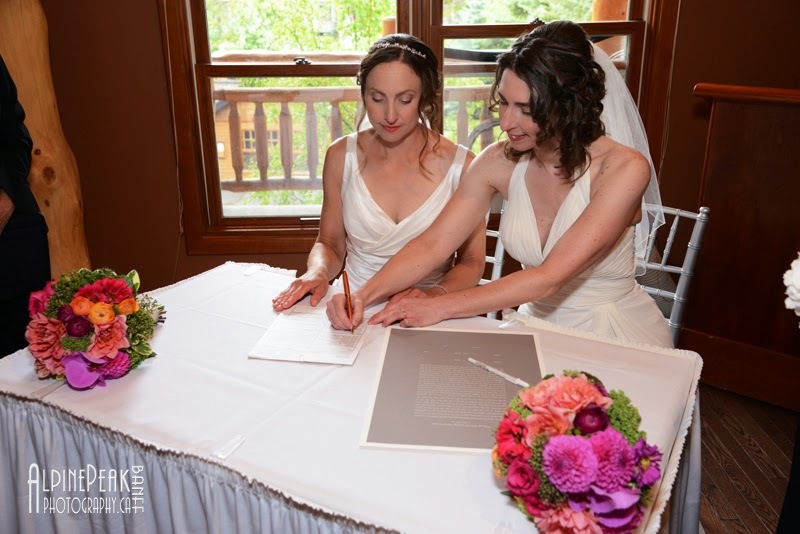 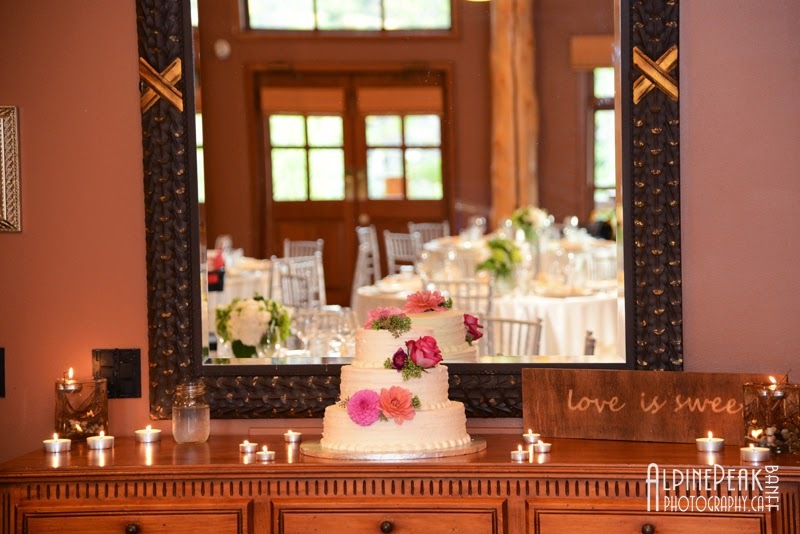 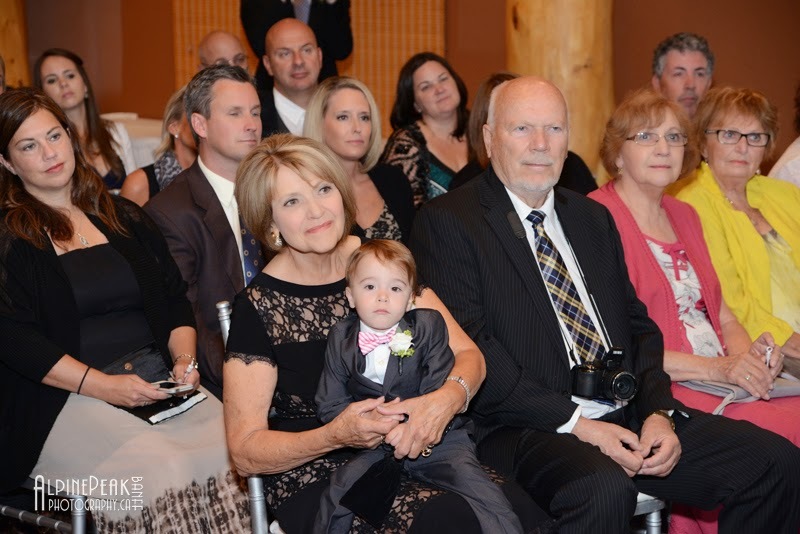 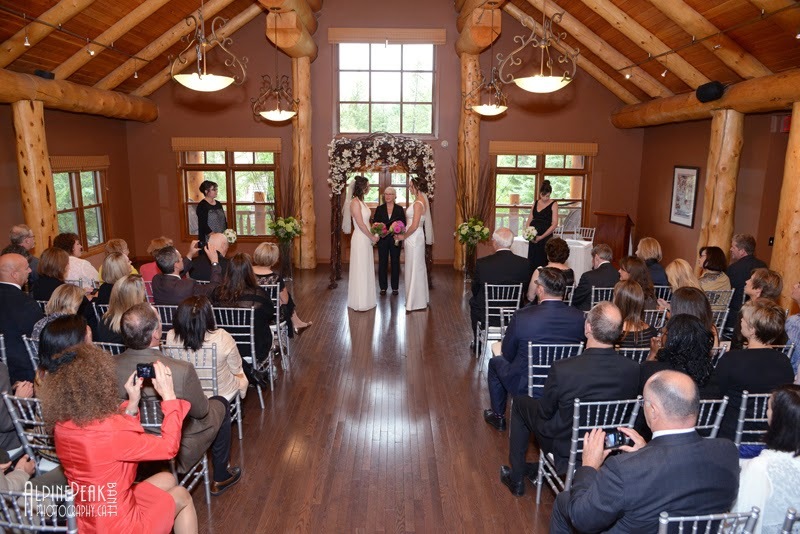 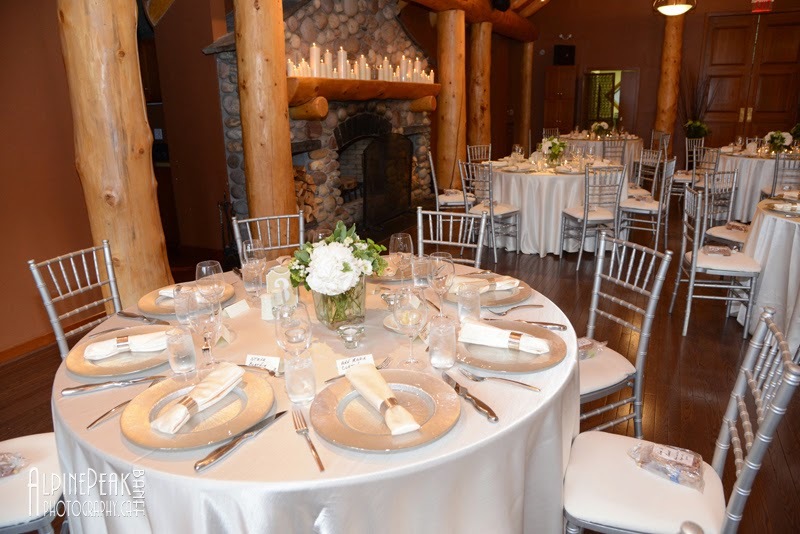 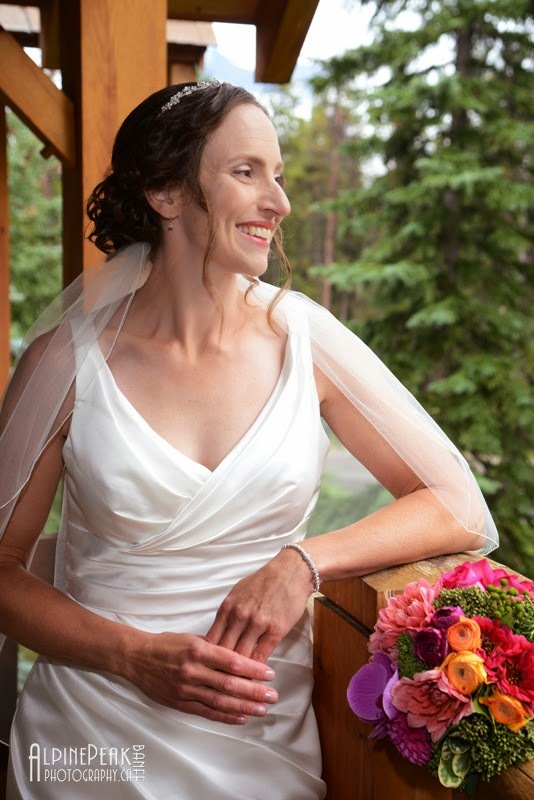 The ceremony took place in the Wapiti Long House at the Buffalo Mountain Lodge in Banff. 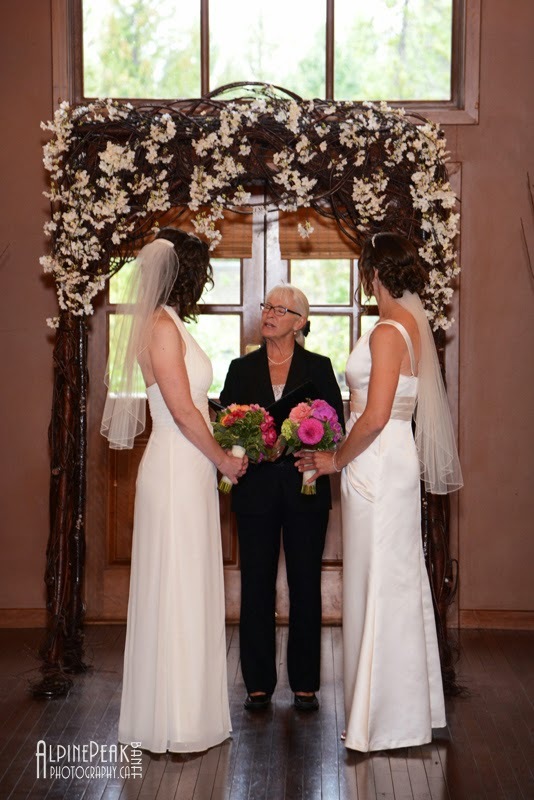 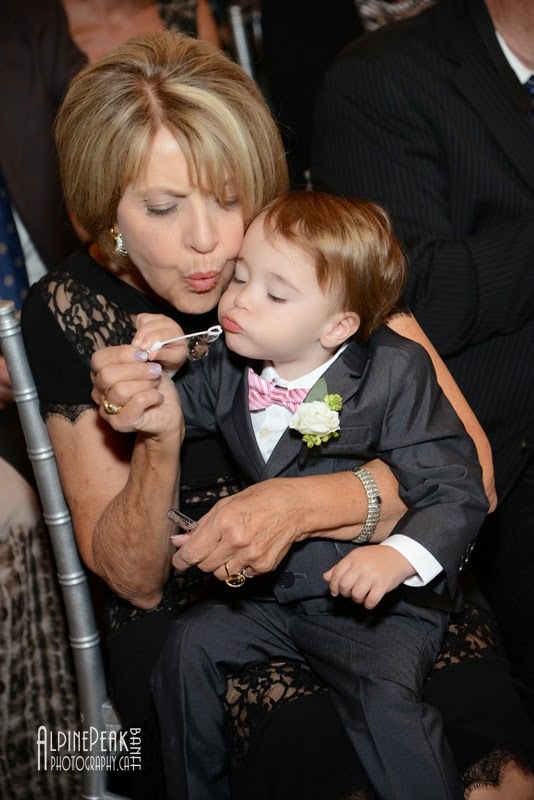 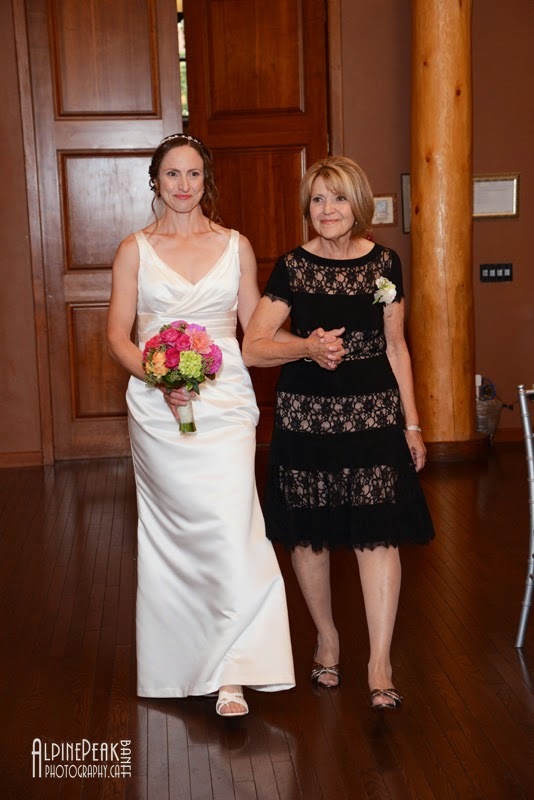 Local marriage commissioner Patricia Compton performed a beautiful ceremony. 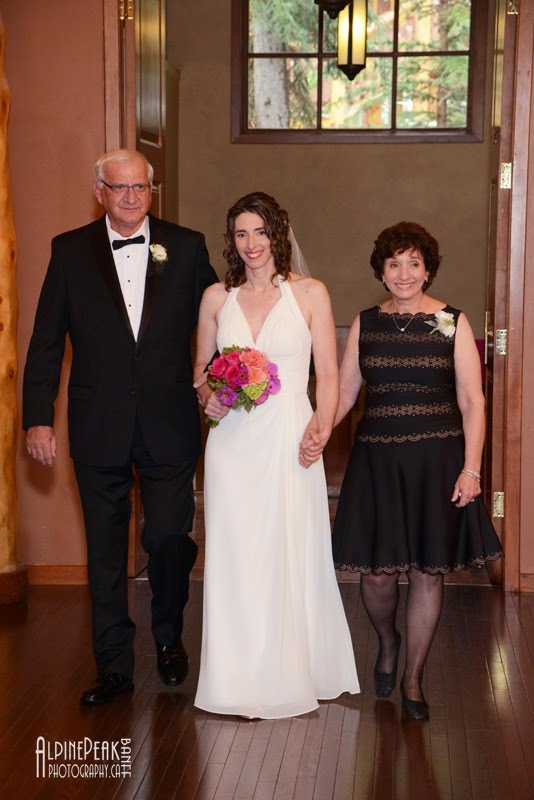 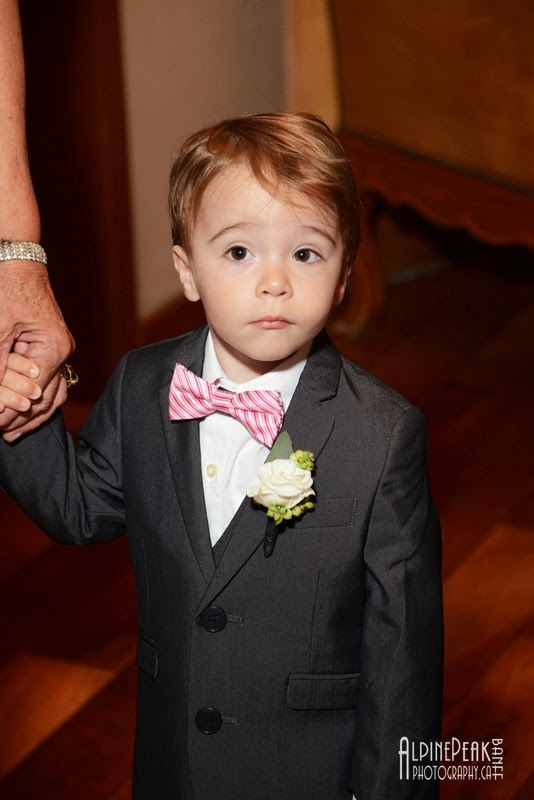 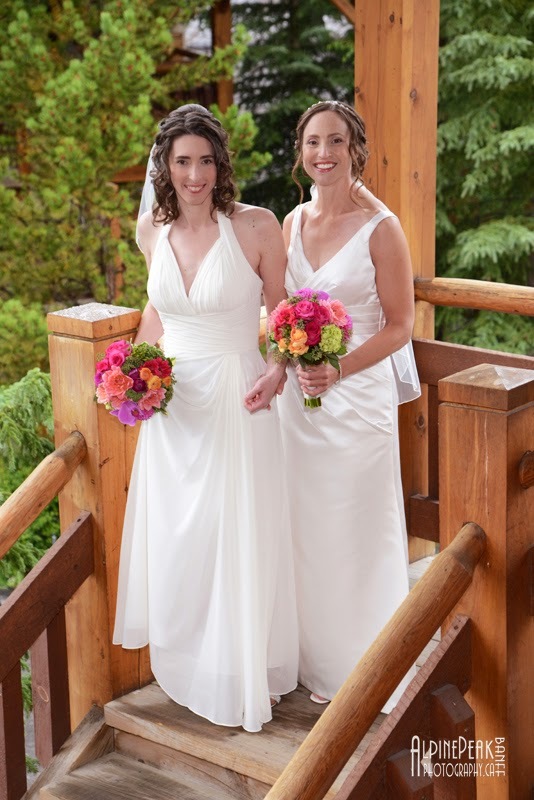 Our Newly Wedded couple looked spectacular! 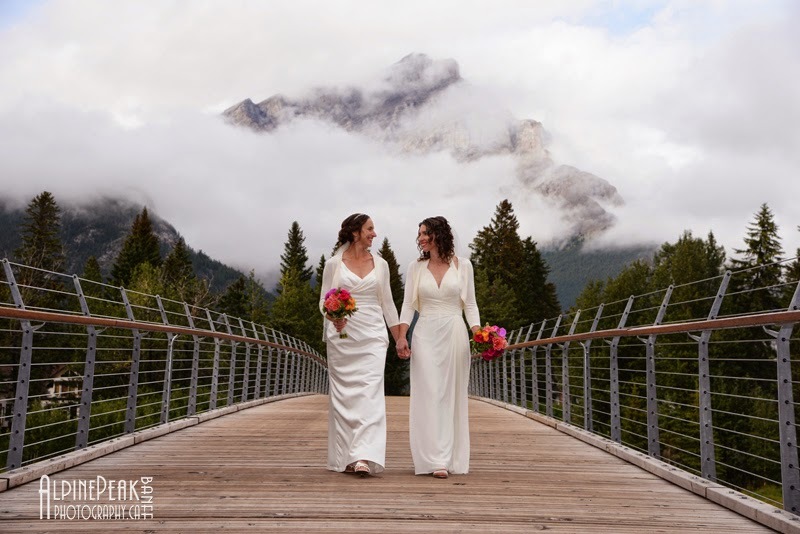 Roger knew exactly where to take them for the perfect shots. 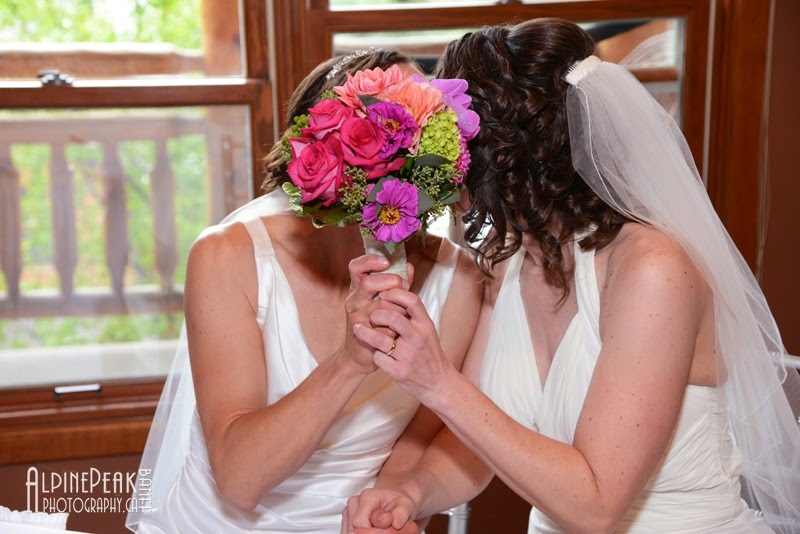 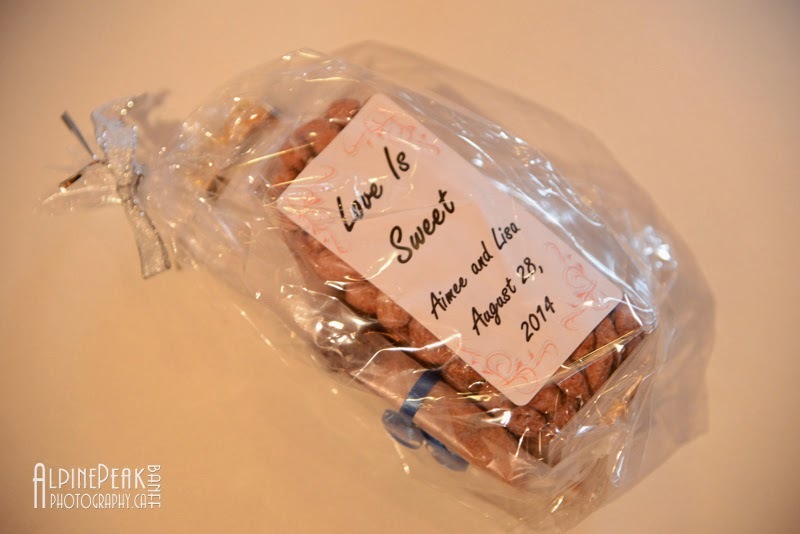 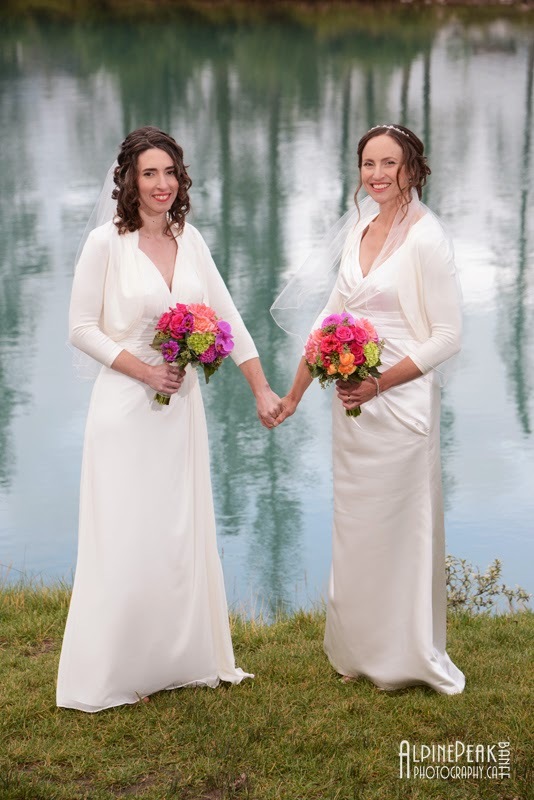 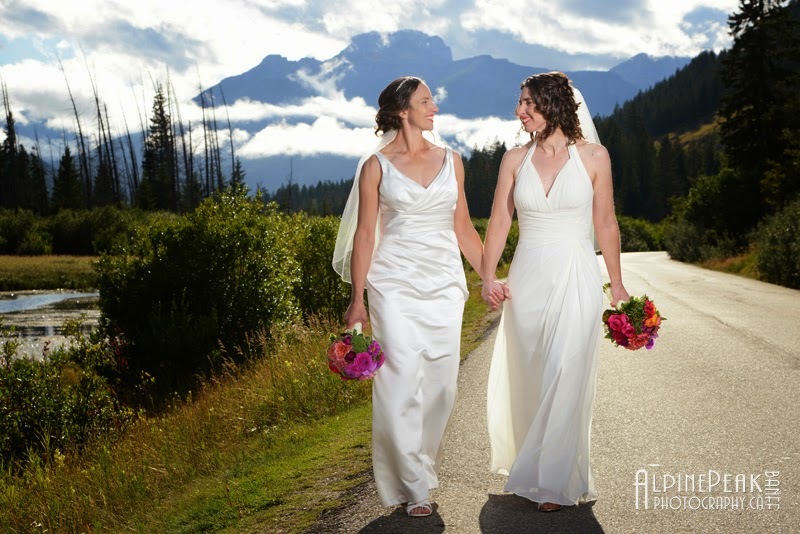 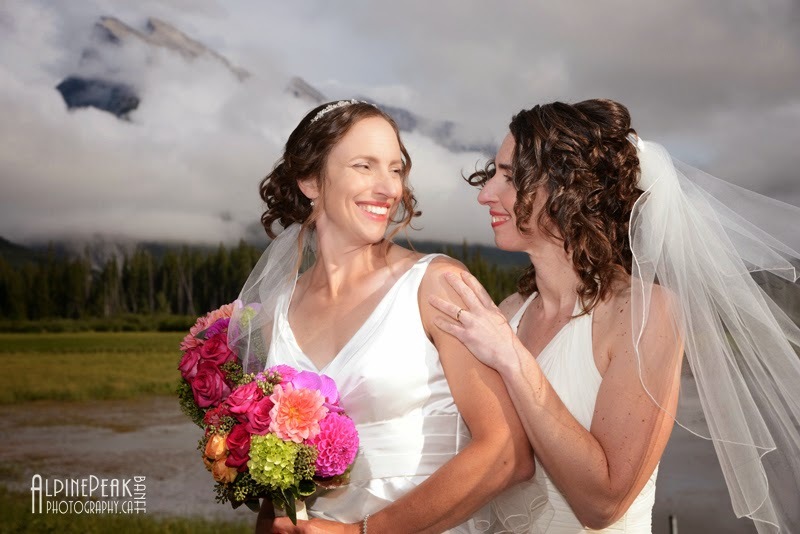 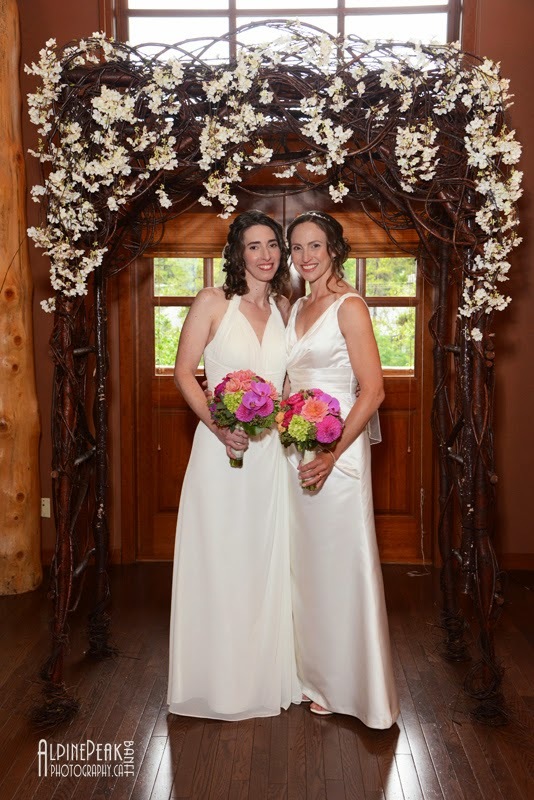 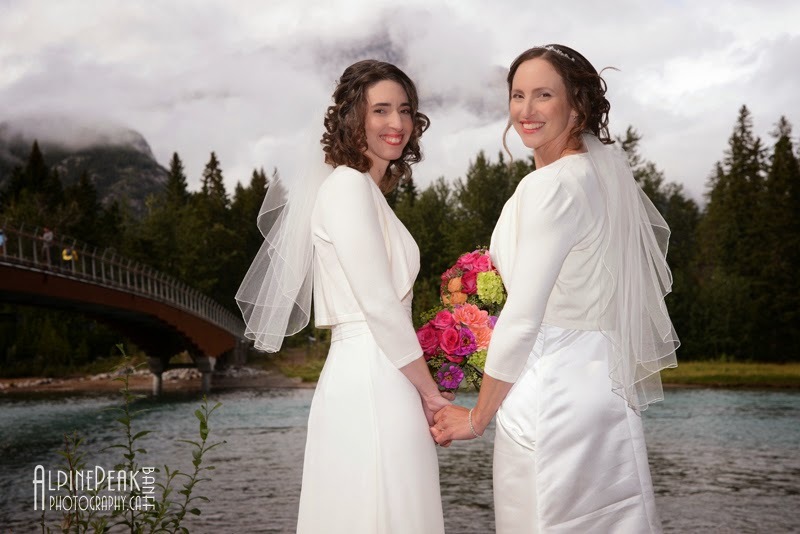 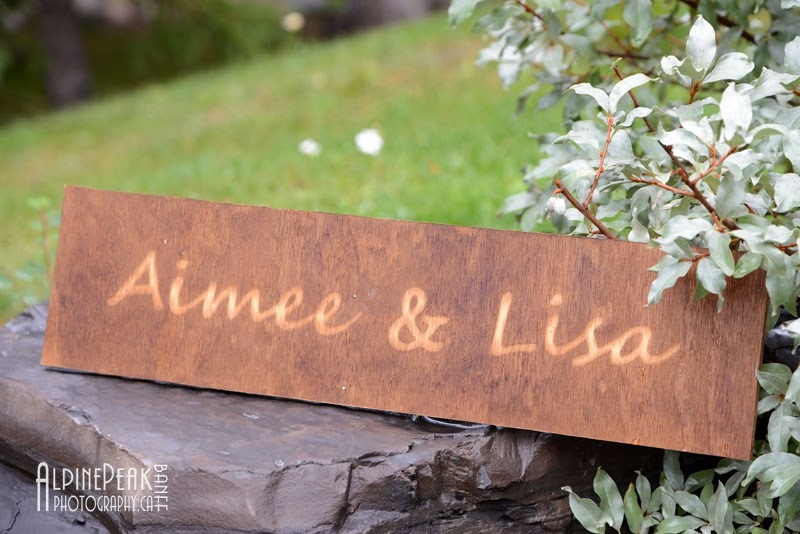 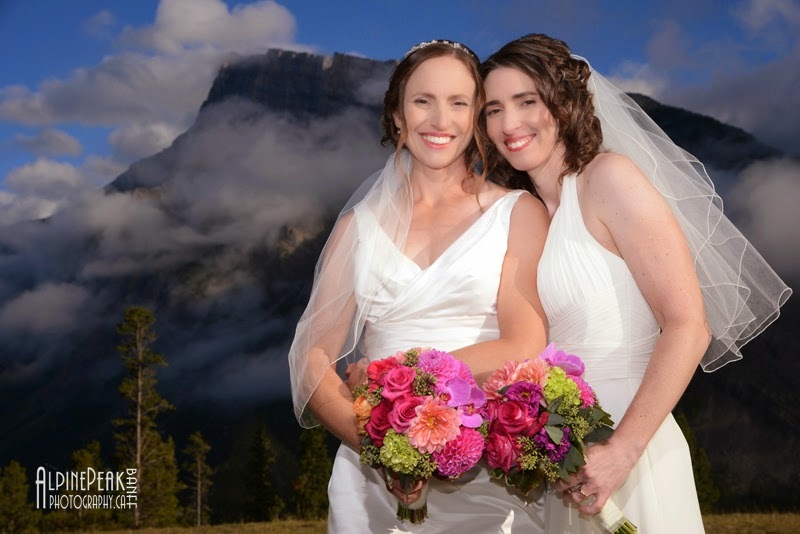 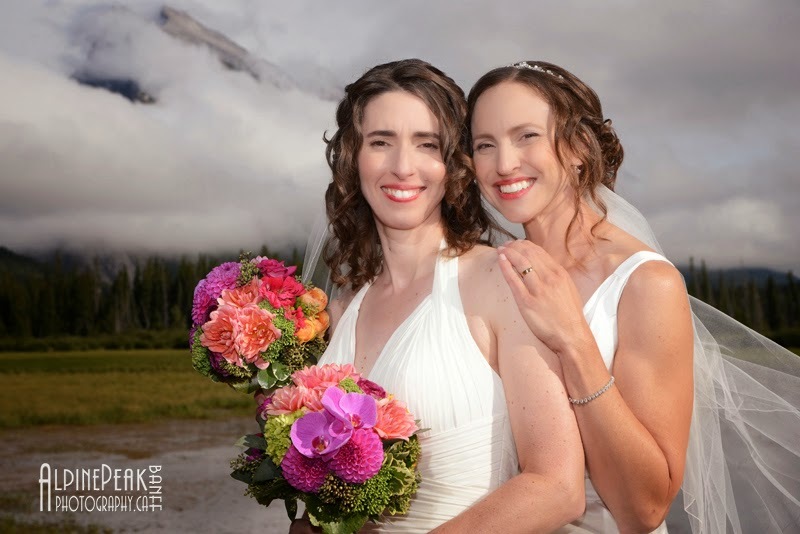 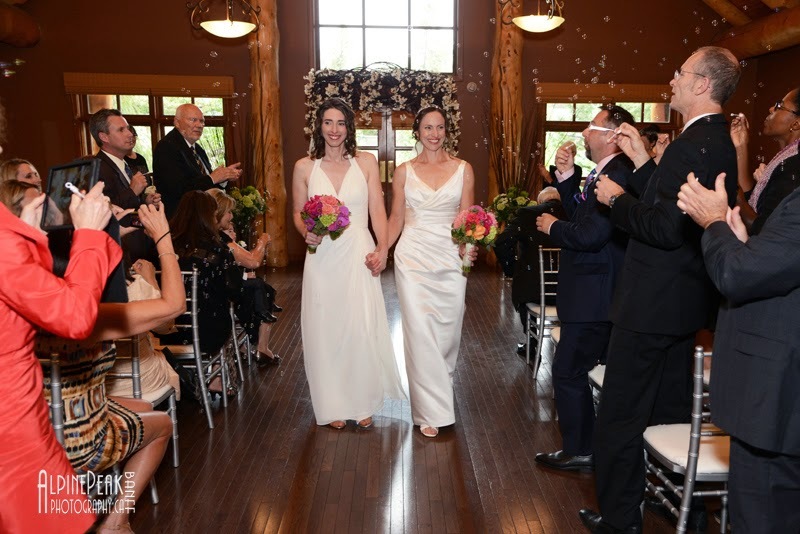 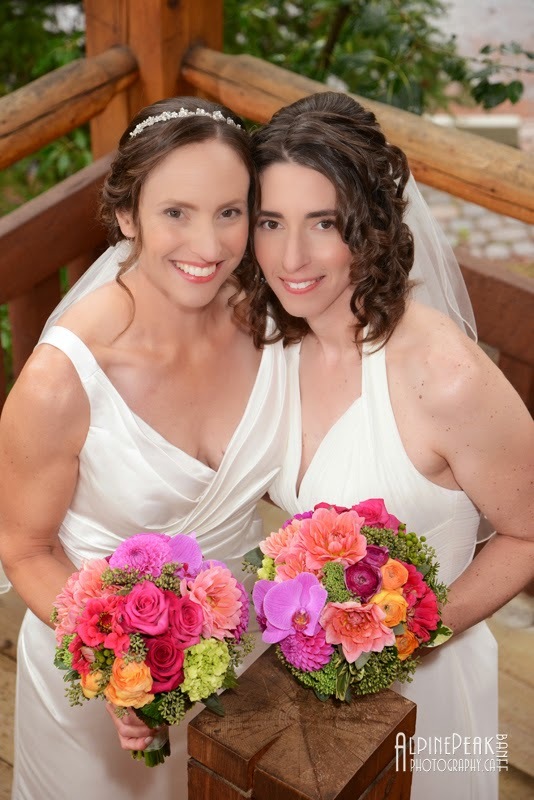 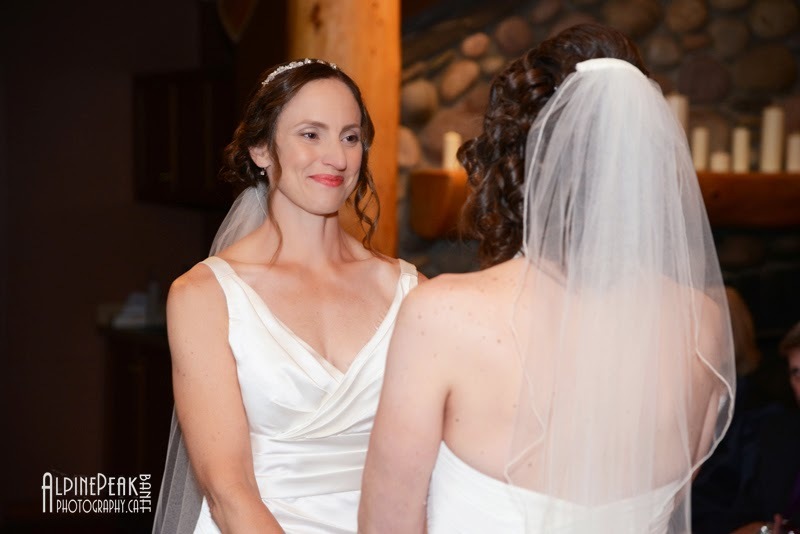 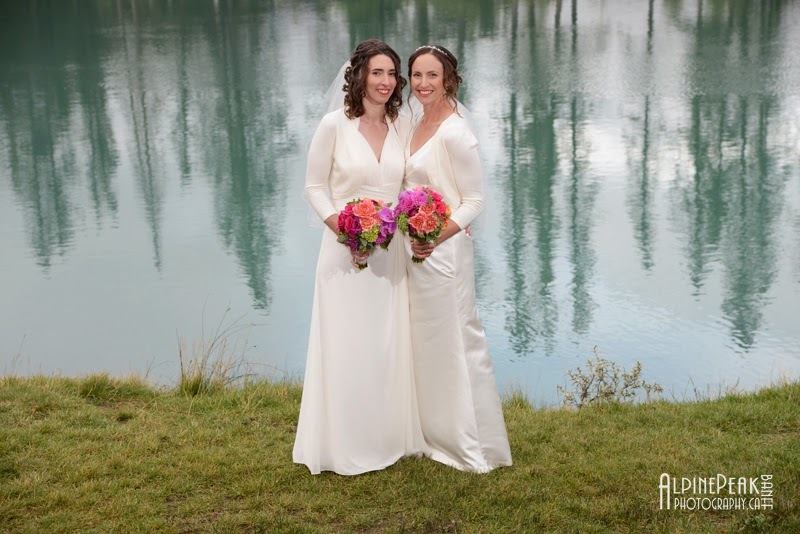 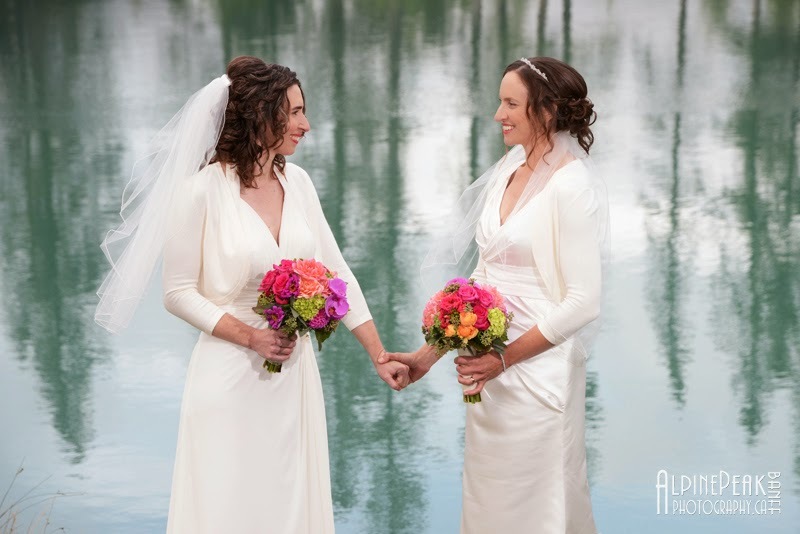 Aimee & Lisa looked absolutely vibrant with Happiness. 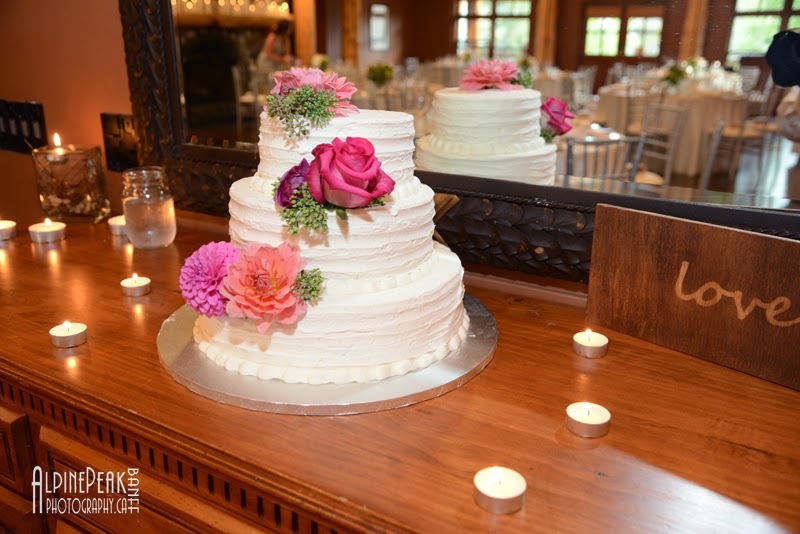 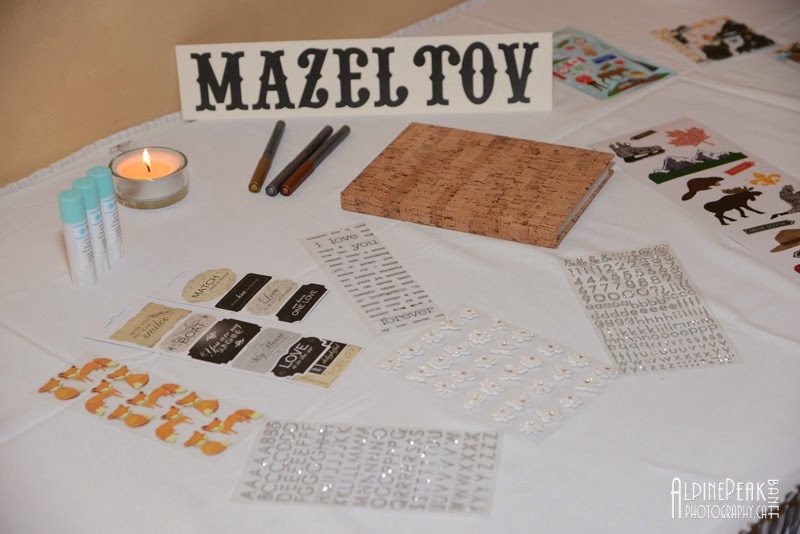 with lots of twinkling candles.